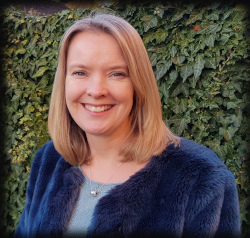 Louise was born 28th May 1974 in Thatcham, Berkshire and her earliest faith-related memories are of Sunday school – sitting in a freezing room on tiny wooden chairs and doing lots of colouring in! Louise kept going to church when her family stopped, and as a teenager she helped to lead the Sunday school. By then, she knew that she wanted to be a teacher and it was working with the children that drew her to church. Although she didn’t have any kind of relationship with God at that stage, Louise now recognises that God used the children to plant her first seeds of faith. “Looking back, I internalised all the stories and the important things from the bible, because I was teaching it to these small children”, she said. Louise is a member of the Countess Free Church, and helps serve by leading children’s activities that form part of our worship as a church family.